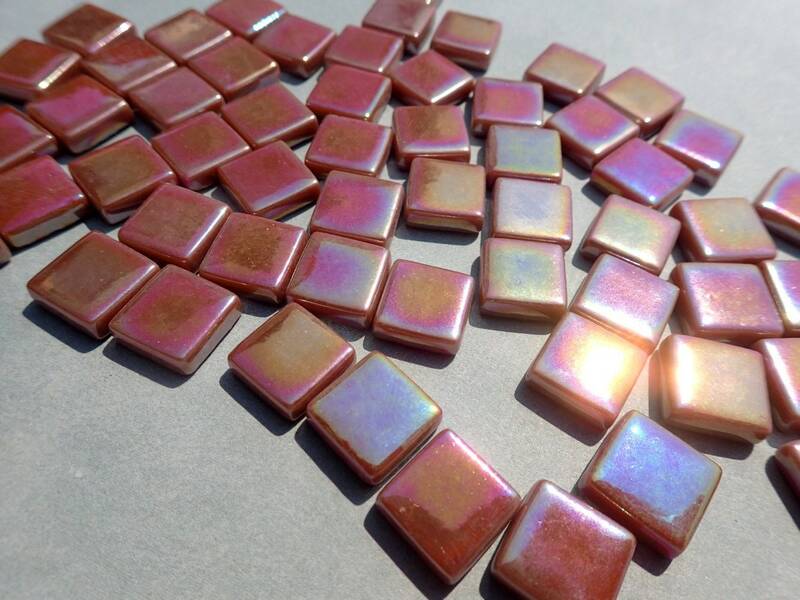 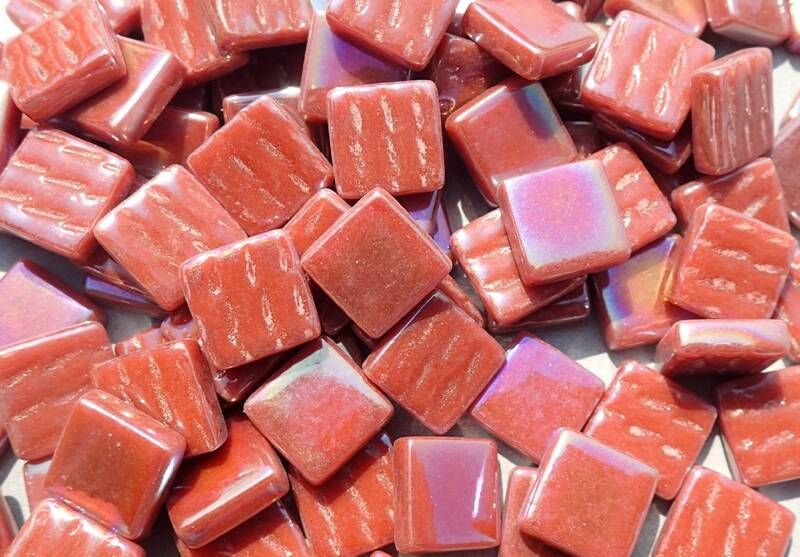 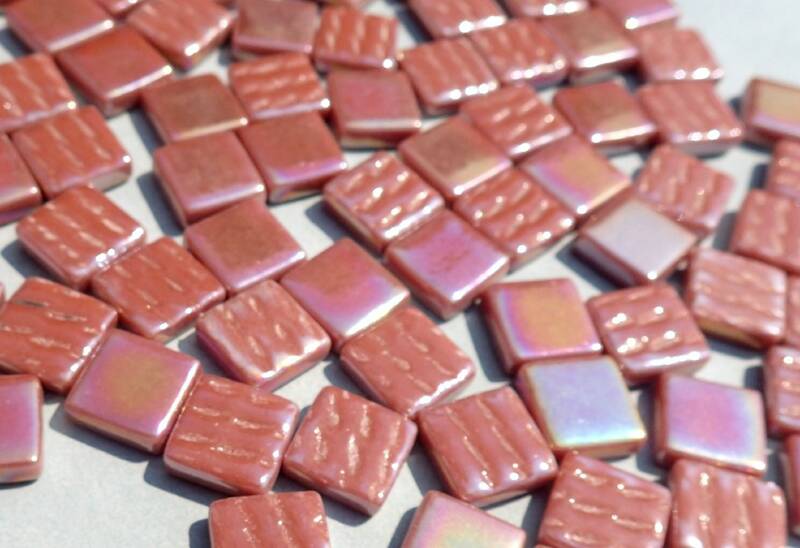 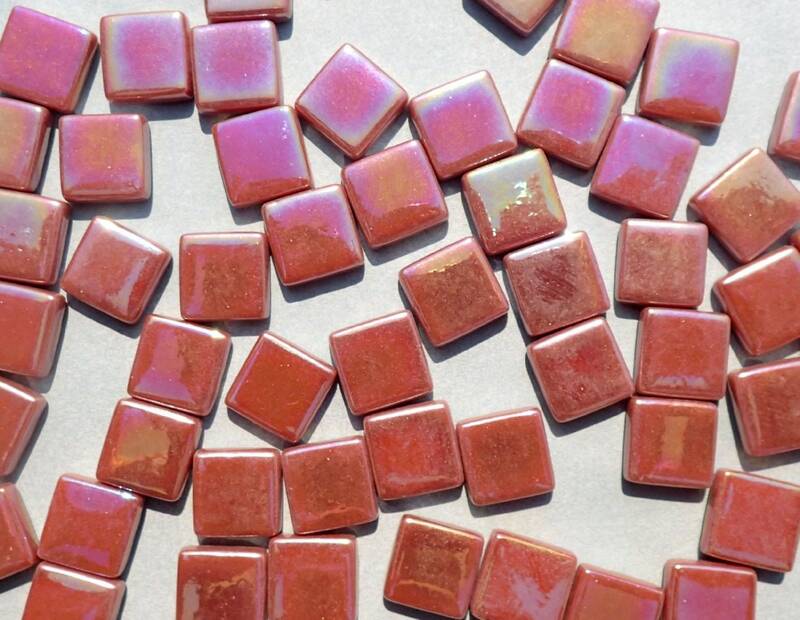 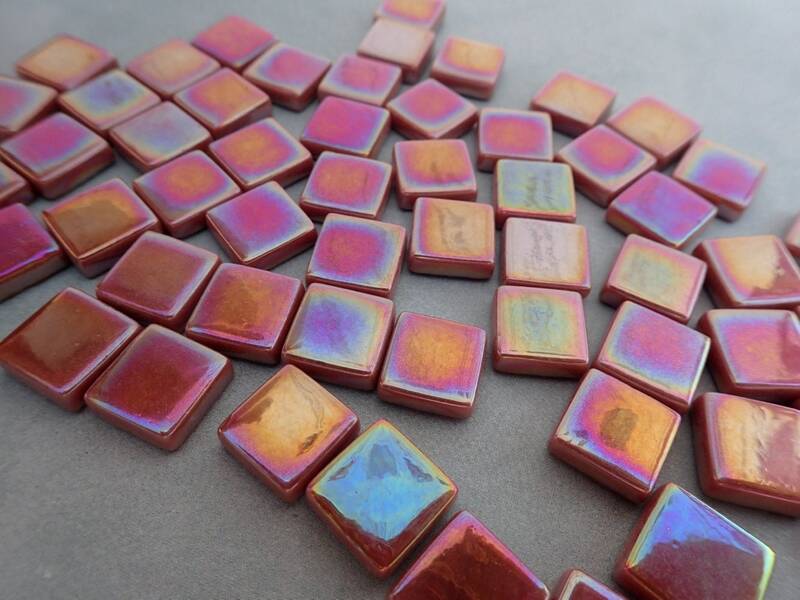 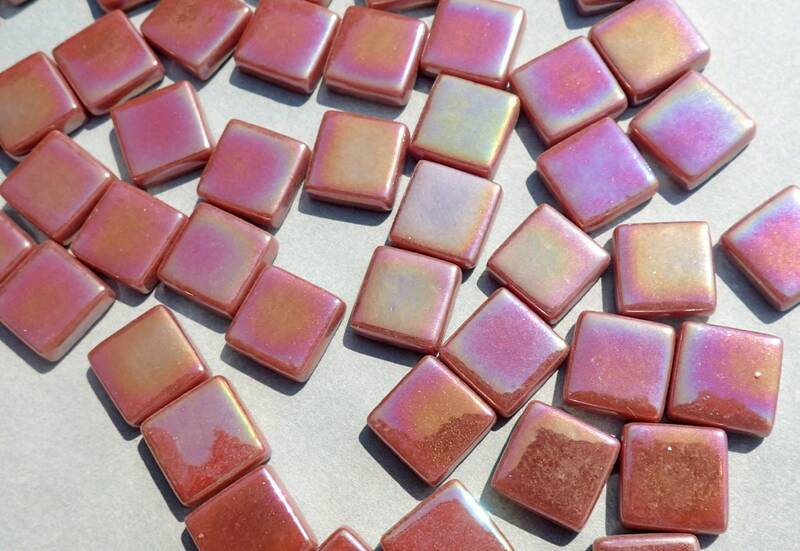 These squares are a lovely chestnut brown color, and they have an iridescent finish created by dipping the tiles into acid to create a shimmering mother of pearl layer that is permanently bonded to the surface. 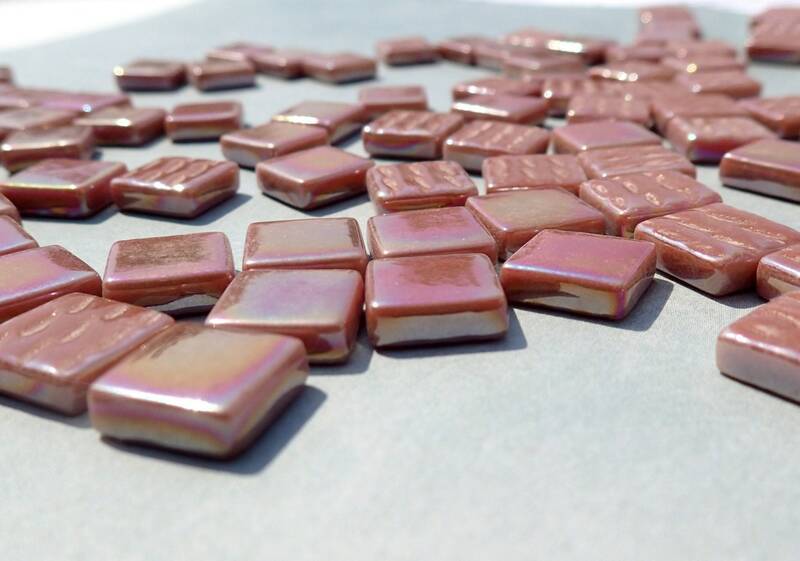 They are slightly darker than they appear in most of the photos. 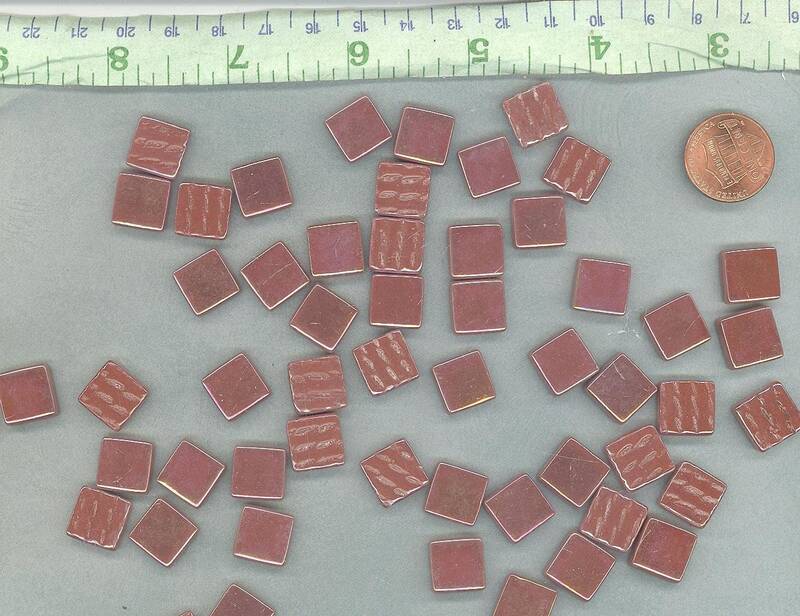 Please see the last photo for another view of the color.